I have been feeling like maybe I’m out of fresh ideas. I’ve shared a lot of thoughts over the past 3 1/2 years and sometimes when I sit down to write at night, I feel like my thoughts are less than interesting and that I’m talking about the same things over and over again. And then I looked at my stack of magazines that are piling up and realized they have been saying the same things over and over again for years and I keep reading and buying them! 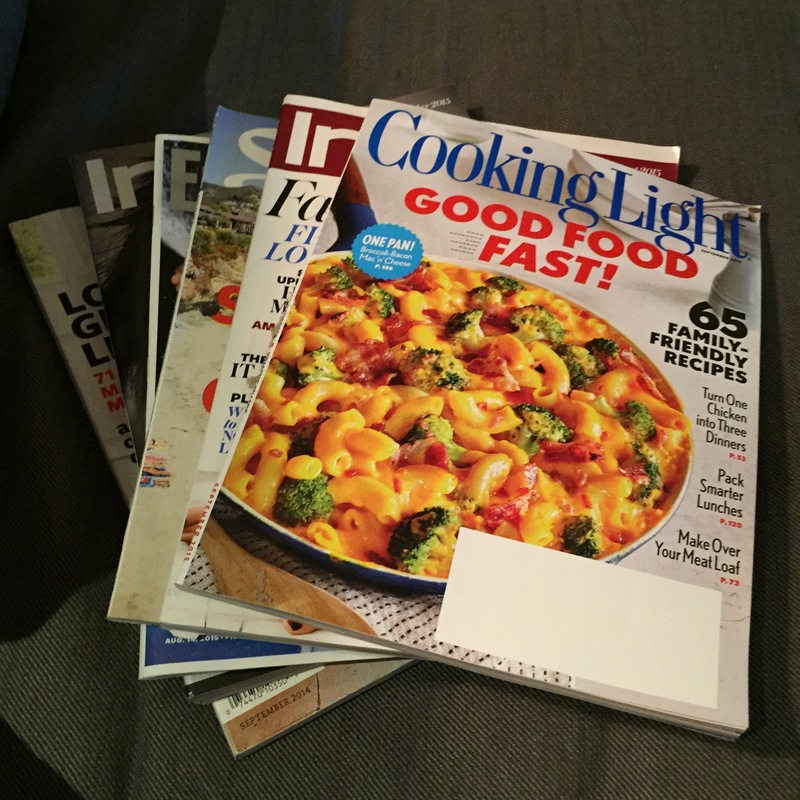 What the magazines have to offer are pretty ideas and recipes and style ideas and stories that we might connect with at the moment we pick them up, for a moment and maybe for longer. I guess by writing every night, and sharing a sliver of my happily ever after story, I’m hoping to share an idea of inspiration, a refreshed and repackaged idea, a recipe, and hope for positive living for you and me despite our perfectly imperfect lives. My writing every night is a practice of gratitude, where I stop to reflect on my day and to find something good and newsworthy-ish to share. Just the process of thinking about my day feels good. And my wish is that we all practice gratitude every day and change the conversation in our heads and live happily ever after.